A background in the oil and gas industry, sustainability and a strong desire to connect communities in the Wheatbelt has won Karla Hooper a $10,000 Youth Board Scholarship. The grant was designed by natural resource management group Wheatbelt NRM to encourage people under the age of 40 to join the board of directors. The scholarship provides training and mentorship to help them improve their leadership skills. The 35-year-old health and environmental scientist now resides in Toodyay, after spending a large part of her career working off shore in the Northern Territory. At the age of 29, she travelled outback Australia and developed a love for camels and their use as a sustainable means of travel. “I love the concept of living sustainably and I’m currently working on a plan called CONNECTED, which focuses on leaving a lighter foot print on the earth while at the same time connecting the community - adding value to both people and the environment,” Karla Hooper said. Ms Hooper hopes the model can be used in other communities and was also working on developing a community garden and promoting food tourism within the Toodyay shire. “We have just had council approval for the Incredible Edible project, a community garden, opposite the old goal museum,” Karla Hooper said. Karla also successfully implemented the Toodyay Farmers Market in 2015, which is a thriving monthly community event. 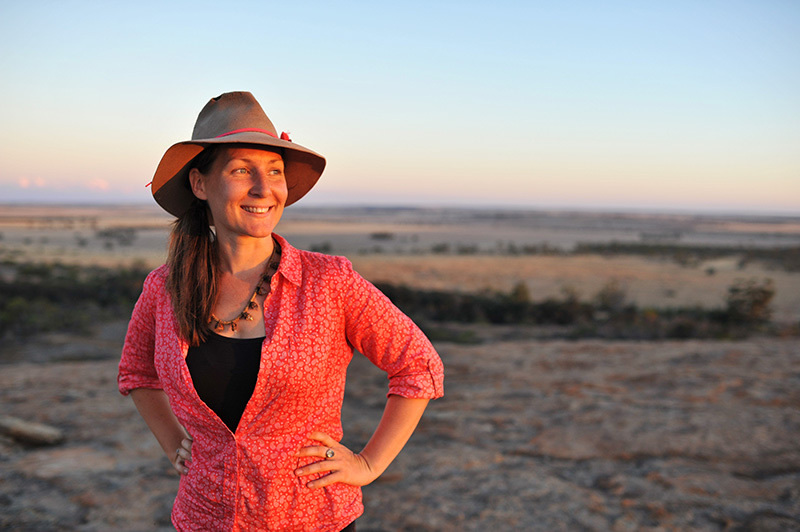 Karla Hooper admits she won’t be able to make big changes during her 9 month stint on the board of Wheatbelt NRM, but is keen to learn the structure and provide input from a young person’s perspective. “I want to develop a good understanding of how boards work,” she said. “I understand the pressure on landholders and the need to work to improve the balance within the environment, which needs to be done through people"
Part of the scholarship is to undertake professional director training with the Australian Institute of Company Directors. “I’m really looking forward to the training and learning more."